The 2018 season has already been a long and tumultuous one for members of Broncos Country. The free-agent quarterback remedy, Case Keenum, has been a bust. The longest-tenured Bronco, Demaryius Thomas, was traded. The coaching staff has struggled and the team has lost six of the last seven. That being said, there are some bright spots. Like the emergence of wide receiver Courtland Sutton, or safety Su’a Cravens returning from injury. Considering that it’s been such a long season, let’s take a closer look at a few other bright spots in the Broncos’ season, using Pro Football Focus’ advanced analytics. Running back Phillip Lindsay has been one heck of a find for the Broncos. He currently leads all rookies in rushing yards and has an outstanding average of 5.4 yards per carry. 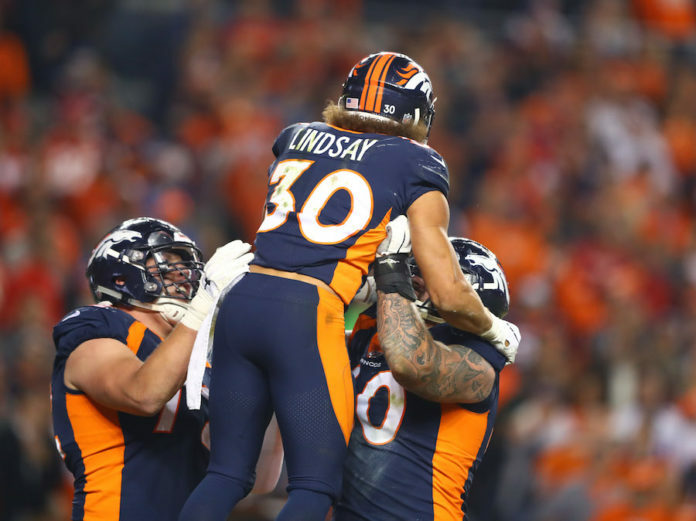 It turns out, Lindsay is an analytics darling, as well; he’s the highest-rated running back on the Broncos with a grade of 77.8, though fellow rookie back Royce Freeman isn’t far behind with a 73.8 grade. What separates Lindsay from the rest of Denver’s runners is his versatility. In just his rookie year, Lindsay now ranks as the Broncos’ second-highest graded pass catcher, behind only Emmanuel Sanders. Lindsay is also the team’s second-highest graded punt returner. However, despite Lindsay’s clear talent and versatility, Denver refuses to lean on him. The rookie has never surpassed 20 carries in any game this season. Lindsay is the only one of the top six rushers in the NFL where that is the case. On top of that, Denver doesn’t fully utilize Lindsay in the passing game, even though he has a receiving grade more than ten points that of running back Devontae Booker‘s, and a pass-blocking grade just two points fewer, Booker remains the passing-down back. Another bright spot for the Broncos has been their pass rush; Von Miller and Bradley Chubb will get the most love, and deservedly so. Von Miller’s 77.1 overall pass rush grade is the best on the team, while Bradley Chubb’s pressure rate is tops on the team and third-best in the league. What makes Denver’s pass rush unique, though, is its depth. 2017 2nd-round pick Demarcus Walker was a non-factor his rookie season and found himself deactivated through the first six games of this season, but since his debut in Arizona, he’s been on fire. The second-year defensive end has the second-highest defensive grade overall and the second-highest pass rushing grade on the season. Add in Shaquil Barrett, Shane Ray, and Todd Davis with the aforementioned Miller and Walker, and the Broncos have five different players in their front seven with a pass rush grade over 70. Cornerback Chris Harris Jr. is trending towards 70, as is rookie phenom Bradley Chubb, after his struggles out of position earlier in the season. The interior of the offensive line is probably the least exciting piece of the least exciting unit on offense, but the Broncos’ is not only talented, but incredibly valuable – at least, it was. Center Matt Paradis, who will now be out for the year, was the third-highest graded center, behind only the Eagles’ Jason Kelce and the Raiders’ Rodney Hudson. To go with their highly-touted center, the Broncos had left guard Ronald Leary, who is out for the rest of the season as well, and newly discovered right guard Connor McGovern. The two made for a great tandem. Leary was one of the best pass-blockers along the line, while McGovern has emerged as one of the best run blockers with a grade of 72.2, the highest grade outside of Paradis. Because of injuries to both Leary and Paradis, Elijah Wilkinson has seen playing time at guard and has looked fantastic as well. His run blocking grade ties McGovern for the second-best mark on the team, and his pass blocking grade is even better. In fact, it’s just 1.6 points shy of Paradis’. Denver’s strength along the interior line, as well as depth, has been integral to the rushing success of Phillip Lindsay and Royce Freeman.